If there's one thing that I know for a fact, it's that goddammit, Oprah and only Oprah is on the cover of O Magazine. 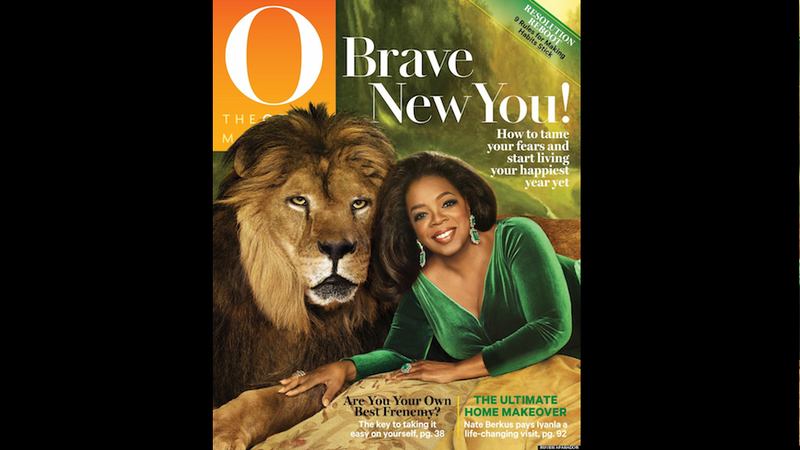 So considering the fact that she's only shared the cover about a handful of times (Michelle Obama is still thanking her stars for that 2009 gig), it seems weird that she's sharing it with a lion. UM EXCEPT NO IT DOESN'T, IT MAKES PERFECT SENSE ACTUALLY THIS IS OPRAH PEOPLE THIS IS THE BIG LEAGUES. While I think the hand-on-paw is a really nice touch, I think I'm going to frame this lil' two-shot and keep it next to my bed.